Brochures are well designed promotional documents that include information about your business. 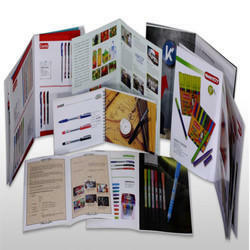 In Signpark our Experienced staffs will design and print brochures in a skillful manner. Our extensive knowledge and experience in brochure printing will assure you the best quality brochure design and printing service and on-time delivery across Calicut. We can help you to create the best printed and high-quality brochures that will create a great and long-lasting impression on your clients. it is a great way of promoting your business. The printing quality gives the initial impression of your company. We design and print high-quality flyers, bi-fold brochures and tri-fold brochures at affordable costs. These are informative documents that carry information about your company. we offer the best design and printing service across Calicut and all over Kerala. You can choose from the above standard brochure sizes or can be more creative and design your own brochure design with the help our graphic designers at customizable sizes.